SAN DIEGO — US Sailing’s National Disabled Sailing Championships are being held on the West Coast for the first time this year, hosted by San Diego’s Southwestern Yacht Club Oct. 26-28. The club’s recently reopened and renovated facility will be the base for visiting sailors who will compete during the three-day event, with 11 races per class being sailed over the weekend. Sailors with varying levels and types of disabilities are expected from all over the United Stated and Canada, all vying to master the winds in San Diego Bay between Shelter Island and Harbor Island, and Coronado. 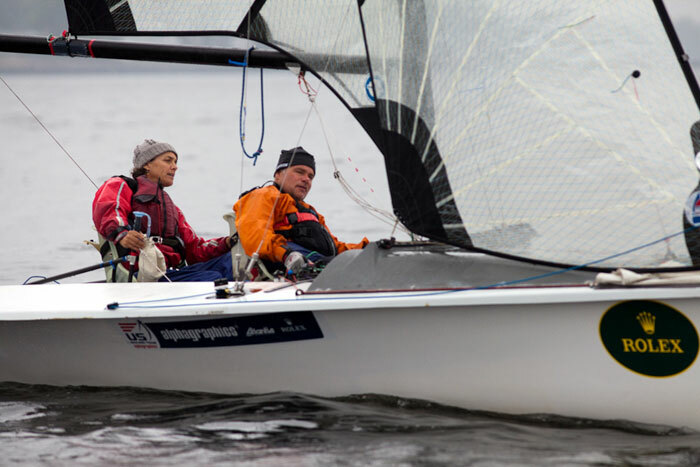 This year, paralympians from London 2012 will be on hand, including sailing Silver medalist Jen French and U.S. Olympic Sailing Coach Jan Allison. There will be five classes of boats, with three Championship Fleets and three Development Fleets: Championship Fleets: Capri 22 (three crew), Martin 15 (two crew) and 2.4m (one crew); Development Fleets: Martin 16 (two crew), 303 (two crew) and Liberty (one crew). Able-bodied sailors sometimes crew with disabled sailors. The number of sailors on board depends on the craft and the classification of the disability by the International Association for Disabled Sailing. Starting last year, the Disabled Sailing Championships began rotating hosting yacht clubs. The event had previously been held with Chicago’s North American Challenge Cup for 11 years. Now, any club can bid to be the host of the sailing event. The event begins Oct. 26 with a continental breakfast from 8-10 a.m., with racing to run from noon-4 p.m. The schedule remains the same for Oct. 27, but a dinner is added for Saturday night, provided by Southwestern YC, served from 6-8 p.m. Oct. 28 features the final racing of the event from noon-4 p.m., with an awards banquet to follow, from 6:30-9 p.m. Southwestern YC is one of the largest and oldest yacht clubs in San Diego. Founded in 1925, it has developed into a full-service operation, with nearly 750 members embracing all forms of yachting, fishing and social activities. Southwestern YC’s history of charitable activities includes Benefit on the Bay fundraising events, with all proceeds benefiting San Diego Hospice and the Institute of Palliative Medicine, and supporting a number of community events including the Special Olympics Sailing Program, the Junior Foundation and the White Sea Bass Release Project.